If autumn were a colour, it would be the burnished orange of roasted pumpkins. If it were a smell, it would be the damp smokiness that invariably creeps up on you — doesn’t it? — when you’re walking down the street, leaves crunching under your feet. And if it were a taste? Earthy, for sure. It’s as if the essence of soil, roots, leaves, trees and woods have been distilled together, and permeates the season’s vegetables, fruits, beans and grains. Ingredients somehow seem more connected to nature; and it’s this very earthiness that’s prevalent on the small vegetarian menu of Plum + Spilt Milk. But first, we have to be honest: we only wanted to visit Plum + Spilt Milk because of its name. An intriguing nod to one of our favourite autumnal fruits, the name appealed to our childish side, the one that grew up reading fairy tales. Perhaps we also had a dim recollection of the restaurant opening to largely positive reviews last summer; and we vaguely remembered that Mark Sargeant is the executive chef. 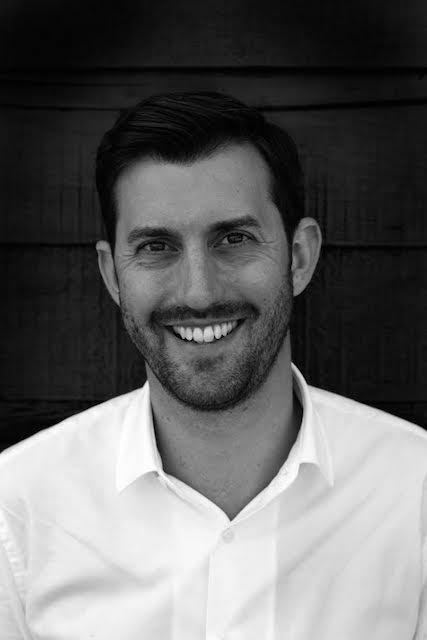 Sargeant was the launch chef at Gordon Ramsay at Claridges, and was part of the Ramsay empire for many years before becoming a food director to the Canteen restaurant group. He grew up in the Kent countryside, and it shows in the choice of ingredients used in the Modern British menu here. Located just outside the recently-regenerated King’s Cross and St Pancras stations, Plum + Spilt Milk is on the first floor of the Great Northern Hotel. A swish elevator — or an equally swish staircase — will take you up to the classically elegant dining room that evokes the romance of old railway journeys. Done up in muted blues, browns and creams with clusters of pendant lights in the centre, the bright, airy space is wrapped by large windows on three sides. 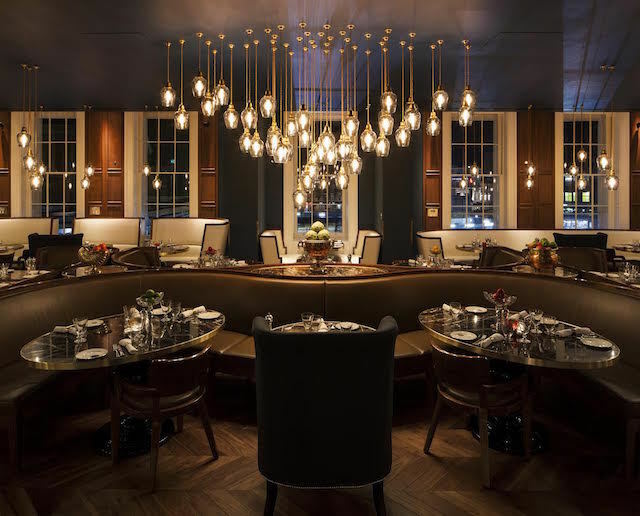 You can easily sink into a slinky curved leather banquette here and while away an afternoon with a copy of Agatha Christie’s ‘Murder on the Orient Express’; or meet relatives visiting from out of town, or colleagues for a business lunch. To be honest, the vegetarian section is tiny, with only three main courses (well, that’s two more than most Modern British restaurants — with not a mushroom risotto or goats cheese salad in sight). An appetiser, a couple of starter salads, and a few side vegetables and potato dishes make up the remainder of the veggie offering. More meat-free choice would, of course, be welcome. There’s a great selection of wines — including very many by the glass — plus champagnes and fabulous-sounding cocktails. Service from friendly, smiling staff is impeccable. So then, earthiness abounds in a mound of black and white quinoa salad, studded with chunks of pumpkin (apparently roasted in ginger and maple syrup, though these flavours are barely discernible), topped with crunchy toasted pumpkin seeds. The virtuously healthy plate is enlivened by a lightly piquant lime juice and raspberry vinegar dressing, sliced red chillies, and fresh coriander and mint leaves. The earthiness is then turned up a notch or two in a main course dish, attractively presented in a small cast iron cocotte, of tiny puy lentils braised in vegetable stock with shallots and swiss chard, with a perfectly poached egg perched on top. It’s scattered with ruby chard stems, crisp little toasted croutons, pea shoots and fennel fronds. Although a touch salty, it’s deeply flavoursome. No earthiness, however, is found in the eponymous dessert of ‘plum and spilt milk’, which seems to be from a different realm altogether. 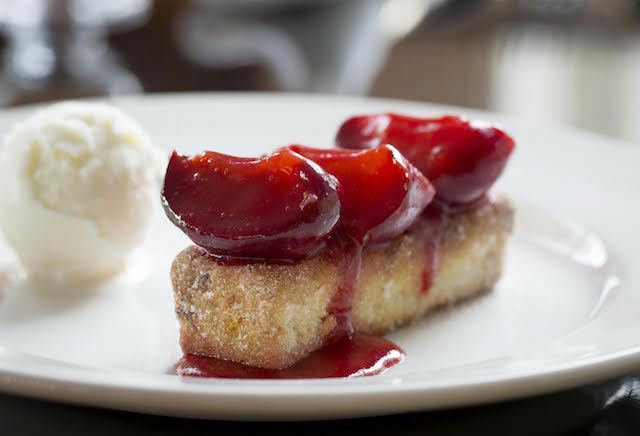 Surely only the sugar plum fairy could have created something as lovely as this: a sugar-speckled slice of warm brioche, topped with wedges of baked plums in a pool of jammy, jewel-pink plum sauce, with a scoop of smooth, creamy milk ice cream on the side. This is where earthiness meets enchantment for a warming, hearty meal on a chilly, rain-drenched day. We paid around £50 for a three-course lunch with a glass of prosecco, bottle of water and service. So is the restaurant named after the dessert, or is the dessert named after the restaurant? We have no idea, but Plum + Spilt Milk is well worth a visit — and not just because of its curious name. All images supplied by Plum + Spilt Milk. We review strictly anonymously and pay for all the food, drinks and service.